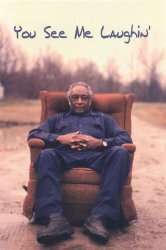 YOU SEE ME LAUGHIN' is a personal journey into the lives and music of the last of the Mississippi hill country bluesmen - farmers and laborers first, musicians second - men who, year after year, congregated on back porches and in tiny juke joints to drink and sing and play guitar. YOU SEE ME LAUGHIN' takes us on the road and into the homes of R.L. Burnside, Junior Kimbrough, T-Model Ford, Cedell Davis, Johnny Farmer and Asie Payton - musicians who've labored for the blues tradition despite lives steeped in poverty and violence. These are bluesmen unlike the famous few who've made it out of the Mississippi Delta. Most have lived among the same farms, small bars and competitive rivalries their entire lives. The result is a raw, powerful music that is fused with the cultural landscape of its musicians. Mandy graduated from Occidental College with a degree in Art History and Visual Arts. She has worked professionally for Propaganda Films in the music video division and as a still photographer for numerous publications, including Interview Magazine, The New York Post and Hamptons Magazine. In 1999 Mandy helped shoot and was an Associate Producer on the HBO Films documentary “Devil’s Playground”, about Amish Youth and the choices they face in the modern world. She also helped produce the IFC Films documentary “Crossover”, about musicians making the transition into acting. “You See Me Laughin’” is her directorial debut.